» Vaude Sioux 800 Sleeping Bag Review – A Good Investment? Vaude Sioux 800 Sleeping Bag Review – A Good Investment? The Vaude Sioux 800 sleeping bag is an excellent product that will inspire you to get back outside and explore. With comfort and compressibility like this, you have to. Designed with trekking in mind, the Vaude Sioux 800 sleeping bag uses revolutionary Sensofiber micro-fiber technology that keeps the user both warm and dry. This 3-season synthetic bag is designed to fit your needs, be it camping in the Adirondacks or your backyard. It will keep you warm when damp and is a highly flexible product that can be adjusted to fit your needs. The Vaude Sioux 800 is extremely durable. 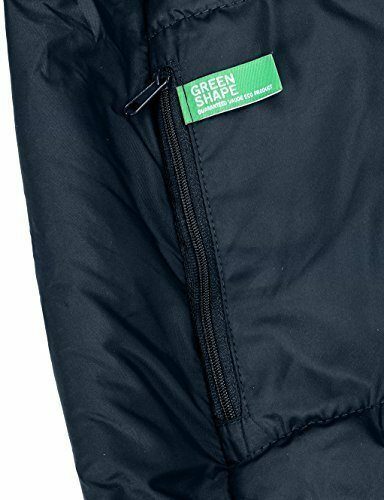 This is a sleeping bag that is designed to last through the elements. If it does not last the test of time, the Vaude Sioux 800 comes with a 3-year warranty to fix any issues you may have. This is a sleeping bag for people who want to be comfortable while they explore. It is designed to support those who want to explore and trek in mild climates. 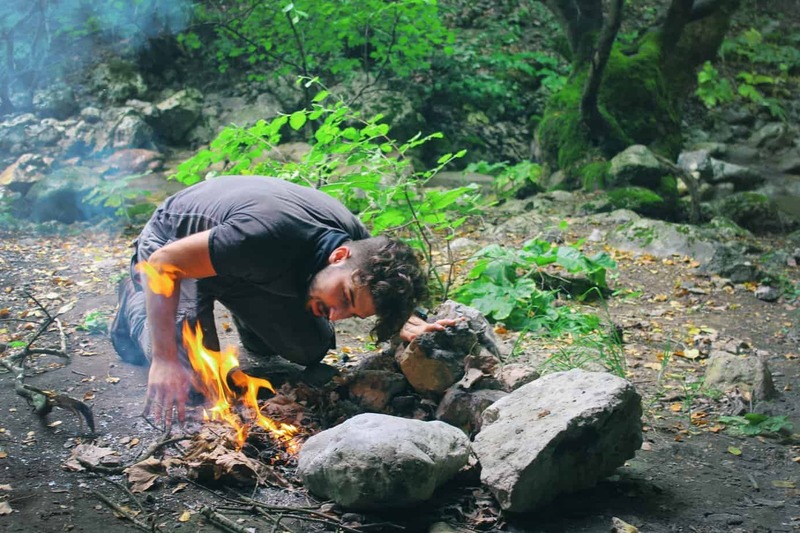 So, dig out your old camping gear and get back out there! The Vaude Sioux 800 sleeping bag will make your trip easy and comfortable. Let’s face it. At the end of a long day, where you’ve been working hard in the outdoors, it is nice to know that your sleep will be comfortable and warm. Conclusion – Is the Vaude Sioux Worth it? Looking for Something for Colder Weather? 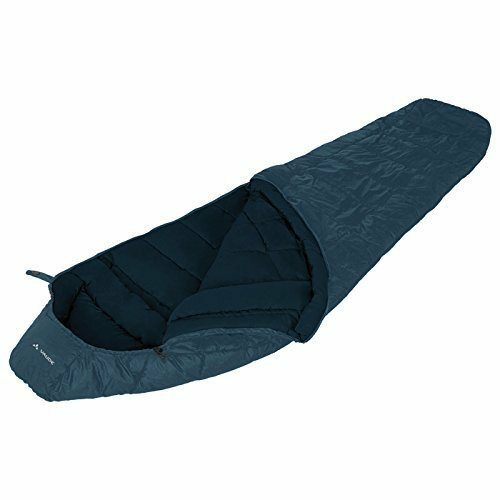 The Vaude Sioux 800 sleeping bag is a high quality mummy sleeping bag. It is made of environmentally sustainable materials and it guarantees to keep you warm and dry during your excursion. The contoured hood and adjustable length (with 6 ft. 3in. being the maximum length) of the Vaude Sioux 800 sleeping bag allows users to customize sleeping bag to fit them. It is light and highly compressible, considering it is a synthetic and not down product. It is a highly durable product that will last you for seasons to come. However, it is important to note that the Vaude Sioux 800 is not as warm as it claims to be. Be aware that this sleeping bag is designed for milder climates. Several customers, who have used the product, have quoted the temperature rating as “optimistic”. Realistically, it is a comfortable 35°F (or 1°C) that can go down to 10°F (or -12°C), if the user is dressed warmly and/or uses a sleeping bag liner. Below that range it can get quite cold and above it, quite hot. A liner can be bought separately for additional warmth if needed. The comfort of the Vaude Sioux 800 will depend on the desired use of the sleeping bag. Historically, synthetic sleeping bags provide more padding than their down counterparts. The Vaude Sioux 800 is no exception to this rule. However, customers who are warm sleepers have complained that this bag retains too much heat in hotter weather, leaving the interior of the bag wet with sweat the following morning. This is an issue that has been fixed by dressing less warmly at night and opening the zipper. In the end, it will come down to the personal preference of the user. For those who don’t mind an unzipped bag, the Vaude Sioux 800 sleeping bag could be a good fit as it offers a bucket load of great qualities for a synthetic product. However, for those who are warm sleepers and want to be completely zipped up, this sleeping bag may not be the best choice. Considering the fact that the Vaude Sioux 800 is a synthetic sleeping bag it has excellent compressibility, both in and outside of its’ compression sack. Additionally, it boasts a weight that is very competitive when comparing the Vaude Sioux 800 to other synthetic products of similar design and size. Customers who have used the product have claimed that when compressed fully, the Vaude Sioux 800 can be easily stuffed into a 60-liter sleeping bag compartment (in a backpack) with room to spare. My tests of the bag did prove this to be roughly true, although it takes some smart stuffing. This is a very impressive feat for a synthetic sleeping bag, as historically, synthetic bags take up a lot of room. While the Vaude Sioux 800 sleeping bag is not completely waterproof, it is water resistant. The Sensofiber micro-fiber fill reflects body heat while efficiently transferring moisture away from the body. Essentially, this means that the Vaude Sioux 800 sleeping bag continues to insulate its user, even when it is wet or damp. Additionally, if this sleeping bag does get wet or damp, it is made of quick drying material. A user has claimed to sleep in the Vaude Sioux 800 sleeping bag, outside in a hammock in damp conditions. When she woke the next morning, she was warm and dry, despite the damp exterior of the Vaude Sioux 800 sleeping bag. Others have claimed similar situations, which only further proves the point. In our tests, we noticed a similar result although we did not test it in a downpour.The only place where this sleeping bag does fall short is for those who are very warm sleepers. The bag is designed to repel and resist exterior water. Sweat can easily line the bags’ interior, causing it to be wet and sticky the following morning. 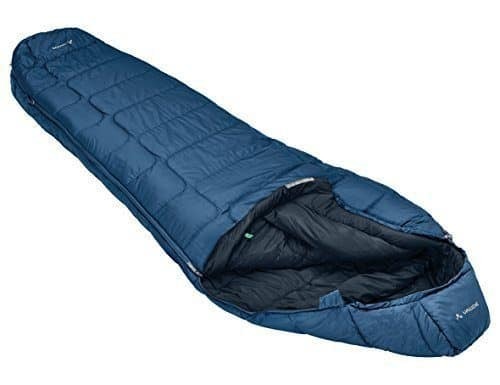 Considering the high quality of the Vaude Sioux 800 sleeping bag’s design, the price is very competitive just $79.99 here, when compared to other synthetic sleeping bags. The compressibility and water resistance are revolutionary additions that aren’t often seen in synthetic products at this price. Further more, it is proof that synthetic sleeping bags are reaching a stage where they can now begin to compete with their down counterparts. While the Vaude Sioux 800 isn’t quite there yet, it is close. When comparing the Vaude Sioux 800 sleeping bag’s compressibility and water resistance to other synthetic brands, you won’t find this quality in a product that offers a better price. The Vaude Sioux 800 is a high quality sleeping system that is an excellent choice for any casual explorer, hiker, trekker or camper. While it definitely will not keep you warm in winter weather, not many casual trekkers tend to camp in the winter anyways! The Vaude Sioux 800 sleeping bag will stand up just fine for spring, summer, and fall. And if it is a bit on the chilly side? A liner can be purchased separately. Granted, this will take up more room and lower the Vaude Sioux 800’s ability to compress, but it is a safe thing to have for anyone who camps regularly. You never know when the weather will drop or change drastically. It is always better to be prepared for those situations. Essentially, this is not a sleeping bag for a mountaineer or anyone looking to rough it in colder conditions. This is a sleeping bag for a casual explorer who values comfort and warmth. You can check out the latest pricing and discounts here . If you are planning on camping out below 10 degrees or winter camping, check out my guide to selecting the best cold weather sleeping systems here. You will find a breakdown of my top 3 cold weather systems.